Thank you for supporting us to go to school. Life Interwoven is currently partnering with Human & Hope, a Australian-Cambodian community education project for kids. The Human & Hope school is located 7km from Siem Reap town in Cambodia and provides education to children from vulnerable backgrounds (poverty, violence, etc.). 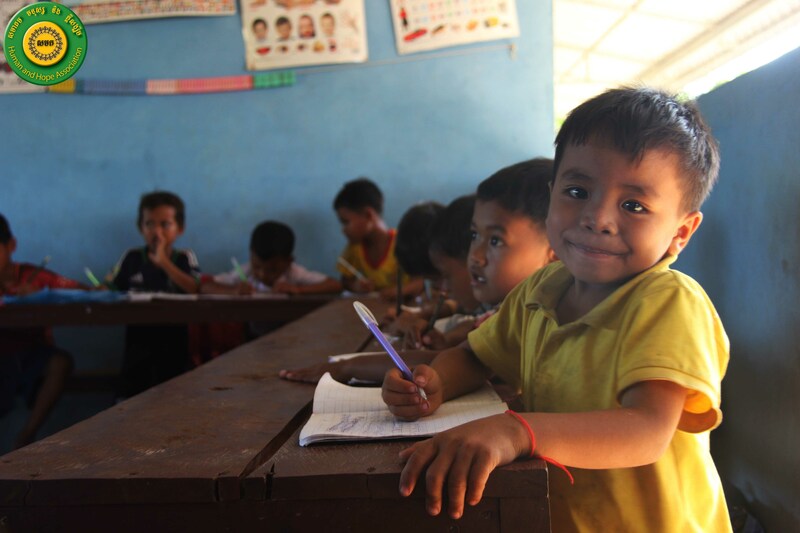 To ensure the quality of classroom teaching, there are 10 students in the preschool class for every teacher. Any more students in the class and they wouldn’t have as much support from the teacher. Cambodian people speak Khmer. A big problem is that the public school education system in Cambodia is very weak, so even though our students go to a public school, they are illiterate. 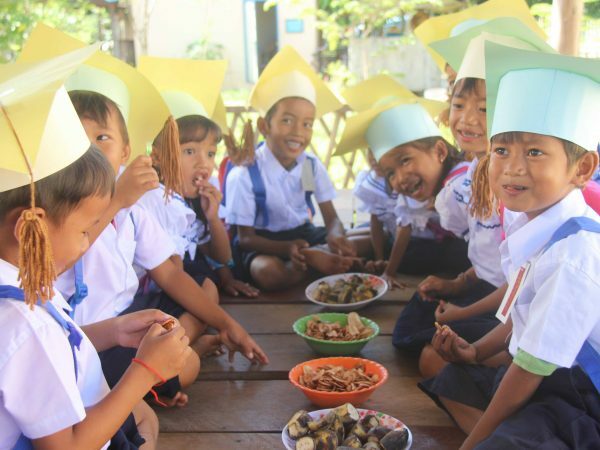 We hold Khmer language classes for them in addition to their public school education, and in just six months they learn how to read and write, and are able to move up in public school! Their public school teachers sometimes hit them when they get answers wrong (despite us running child protection workshops at the public school), so these Khmer classes also reduce the violence from their teachers. 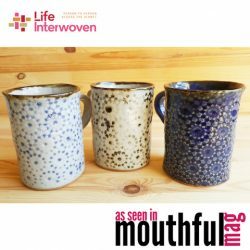 Proceeds from Life Interwoven’s current sales go to support this fantastic project that is enabling kids to access opportunities for a better education. Sopheak is thirteen years old. He and his eight years old sister, *Srey, had never been to school. Our Education Manager noticed them on the street one day, and enrolled Sopheak and Srey in our English program. Identifying that they will not have a good future unless they learn Khmer, we started daily Khmer classes for Sopheak and Srey, and four other village children who have never been to school. They were enrolled in Public School in November 2014 along with their younger brother. Sopheak came first in his class at public school and was able to skip a grade, and Srey and her younger brother came in the top ten! For three children who had never studied before, they are certainly naturals! These siblings continue to study at Human and Hope Association. *For child protection purposes, the name of the students have been changed. Total donations for July 2018 – December, 2018 is $1,064.84. 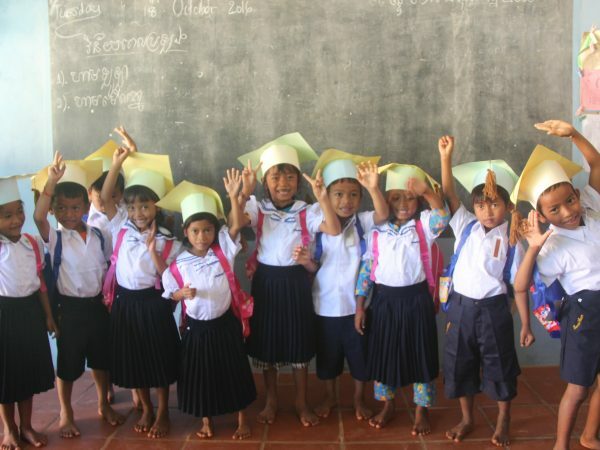 provide 15 months of education for a Cambodian child. provide preschool education to 4 students with daily education (two hours a day), study resources, hygiene supplies, clean drinking water and school starter kits. Total donations for July 2017 – June, 2018 is $1,435.27. provided 30 children with Khmer or English education for a full month. That is two classes of students being educated. funded six children in the Khmer language program at HHA for a year, teaching them their native language so they can move up at a public school. provided weekly art class to 20 students for a year. Total donations for July, 2016 – June, 2017 is $1,050.72. funded a preschool education to a whole class of 10 students for a month. funded four children in the Khmer language program at HHA for a year, teaching them their native language so they can move up at a public school. educated two children in the English language program for a year. provided English education to two children for a year.